We Americans absolutely love our pizza. And this comes as no surprise at all. This delicious and cheesy food tops anyone’s list of favorite comfort food. The U.S. Department of Agriculture released a report showing that 13% of Americans eat pizza on any given day and over a quarter of young males are eating it daily. An oven-baked flatbread, pizza is often topped with cheese and tomato sauce or other condiments, varied meats and veggies. The pizza was invented in Naples, Italy but it was not after the end of the World War 2 when it became a hit in the US. When American hungry soldiers arrived from the war in Europe, they talked about how delicious pizza is they soon managed to influence the rest of the American population into embracing this food. Soon after, pizza joint franchises were created. With approximately 3 billion pizzas served in the United States alone every year, the environment shifted from serving pizzas in restaurants to delivering them directly to people’s homes. Today the beloved pizza continues to enchant hungry consumers and new combinations of crust and toppings are created daily, influenced by the local cuisines and food traditions of every city. Pizza consists, at its core, of three things: dough, sauce, and toppings. Here are the nine types of pizza that are popular in the United States. It uses a dough base similar to the Neapolitan or New York style pizza and jazzes up the base with unusual and uncommon ingredients. The entire pizza is quite thick although the crust itself is made only of thin to medium thickness the pizza has a very thick large layer of toppings. This is crispier and crunchier than the New York style pizza and normally cut into squares rather than diagonal slices. It is a square pizza with a deep-dish crust and marinara sauce sometimes served on top. To develop caramelized crunchy edges, the crust is usually baked in a well-oiled pan. Baked in a heavily greased cake or cast iron pan, Greek pizza has a crunchy and thick golden crust topped with Greek ingredients, such as artichokes, feta, and kalamata olives or topped with mozzarella cheese and tomato sauce. This type of pizza has a thin and crunchy crust with a perfect balance of thin tomato sauce and lots of grated mozzarella cheese. The pizza has a thin cracker-like crust, made without yeast, and is topped with Provel cheese, rather than mozzarella. It has cheese and toppings and because of this differentiation, the dominant flavor of the pizza is the sweet and tart tomatoes that top the pie. 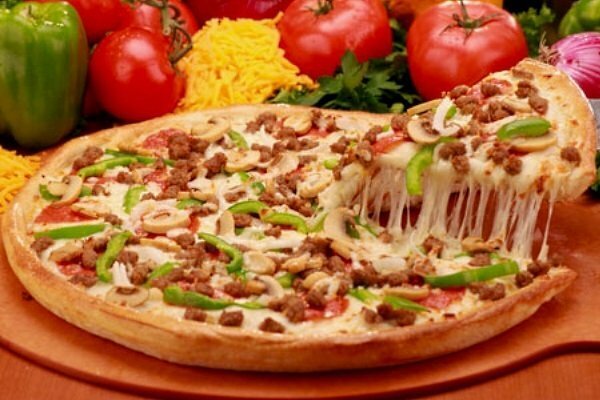 America’s Incredible Pizza Company is an American pizza buffet restaurant, entertainment center and restaurant chain based in Springfield, Missouri. It is a franchise restaurant and found in a nationwide location map of stores. Incredible Pizza is a family restaurant that serves fresh pizza on an all-you-can-eat buffet style with over 30 types of pizza, 100 salad and pasta selections and other home-style foods. Another contender, California Pizza Kitchen (CPK) is a restaurant chain that specializes in well, surprise, surprise – pizza. They started in Beverly Hills in 1985, and now the chain is famous for its innovative and non-traditional pizzas, like the BLT, Jamaican Jerk Chicken pizzas, “Original BBQ Chicken Pizza”, and Thai Chicken pizza. It is a meal for every occasion. Many variants can almost always meet your expectations, whether you opt for a classic or reinvented version. It is for a crowd. At a birthday party, office celebration, or get-together to watch a game on TV, you can opt for a couple of large pizzas, with all the traditional toppings that everyone loves. It is topped with your fave food -pepperoni, a combination of cheeses, and perhaps some other meats such as bacon or sausage. It can be eaten with your hands, right off a paper plate. No need for knives and forks. It is a romantic meal for two. Choose some subtle combinations of gourmet toppings and turn down the lights. Pizza for a family meal. Whether it’s a save-the-parent supper or a fun weekend meal before playing a board game or watching a good movie, pizza is a real treat. Pizza on the go. For a quick and tasty lunch without having to wait, grab a slice at a kiosk in the mall or at the local pizzeria.